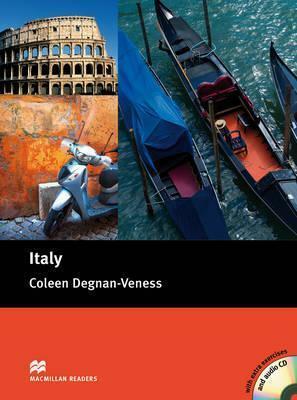 This Reader provides an informative overview of Italian history, art, culture, geography and climate, food, fashion, sport and more. Italy is a country in Europe. Italy has a rich history of empires and great thinkers, and has been a centre for Western culture for thousands of years. Also comes with audio CD.